I picked up one of these gadgets recently on eBay. Pretty good, really. 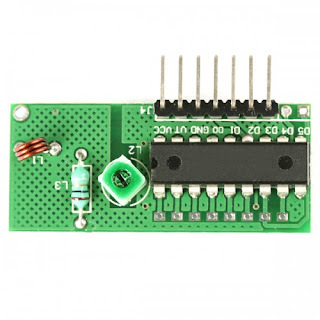 It consists of a remote control and receiver module. There are 4 buttons (A to D) on the remote that switches the lines on or off. It works on a latch system. One press on, one press off. While this action has its uses, I feel that it is a bit limited in a home automation scenario. 433mhz devices are not always 100% reliable. This frequency is heavily used by many devices and can cause interference. So, you press a button and wonder, is the device still Off or On? Who the feck knows. Press it again and you are still in the same position. Did it turn On or Off??? I prefer systems that have specific On and Off buttons. Anyway, this latch type of devices still have many uses. An On/Off system can be easily designed. Button A = On, B = Off. The same with buttons C and D.
Or just 4 On buttons. The receiver is fairly straightforward, as the image shows. I had a bit of a problem with the pin outs. By receiver board had no pin legend. I was able to work out the pins of interest. Then I noticed that the advert had the pins labelled. Doh! I was correct anyway, so no problem. I wired it up and it works. I connected it to a 1-Wire Switch, a DS2408. The DS2408 is a very versatile device. 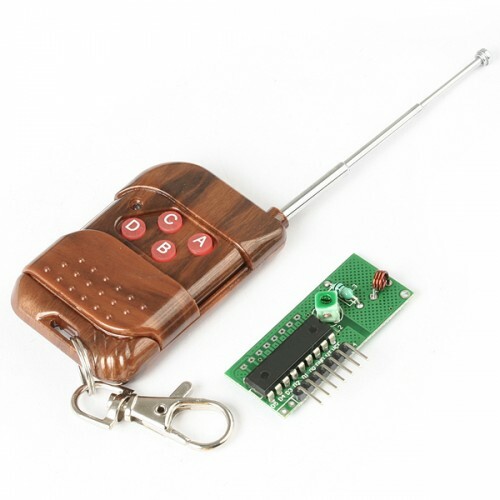 While it can be used as a switch, it can also be used to sense a 5 volt signal. It is an 8 port switch but I am only using 4 for sensing voltage. Using OWFS (1-Wire File System), I was able to detect when a button has been pressed. I can detect when a button is pressed and use the computer to take some action, such as switching on or off a device or a number of devices. Not quite sure yet. What I think I will do is pop an opto-coupler into the mix and use the DS2408 to control the receiver. 3. Switch off the power to the receiver and back on again. 4. This will clear the sensed voltage and mean that every button press is easily detected as an event request. 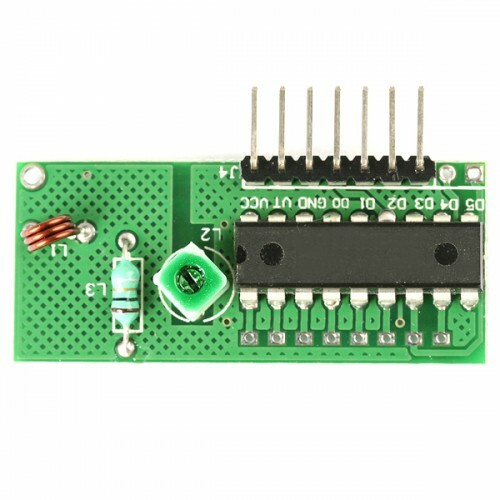 cAN YOU SEND MI A CIRCUIT DRAW, I INSTALL SOME LED IN OUT PUT , BUT I HAVE ANY RESPONSE.